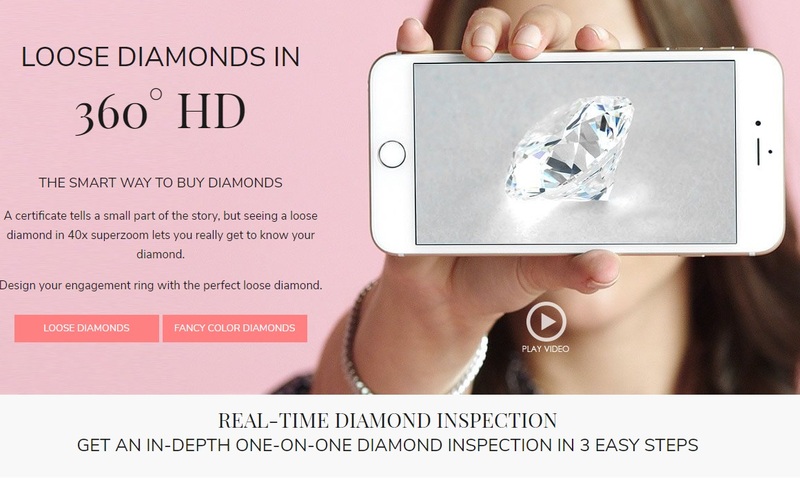 Click on the image above to watch thousands of loose diamonds in HD 360° 40X magnified videos. The best way to compare several diamonds and determine what might be your ideal choice. Ways on how you can buy diamonds at close to wholesale price. Overview of how the diamond trade is structured worldwide. Details about seven important factors that affect the price of a diamond. The bottom line is that JamesAllen.com (for GIA Graded) and BrianGavinDiamonds.com (for AGS Graded) are the best websites for buying diamonds. Buying diamonds online can be a safe and pleasant expereince if you know what you are doing and shop with a trusted vendor. Markups online on Loose GIA certified Diamonds is as low as 8-10% compare to local retailers. We have seen markups go as high as 150+ locally. A total riffoff in our opinion. Option 1) We strongly recommend James Allen as our favorite online retailer for loose diamonds and engagement rings. James Allen is one of the largest privately-owned diamond companies in the world and has the best customer service in the industry. The company is credited for transforming the diamond industry. Moreover, they will also match prices with any other vendor. Please follow this link to shop at James Allen. Option 2) If you are looking for an Ideal Cut AGSL Graded Diamond, we recommend Brian Gavin Diamonds. Brian Gavin is a well-known name in the diamond industry and is credited for his contribution to the cut of round shape diamonds. He is the person behind the concept of Hearts & Arrows diamond. Brian is a 5th generation diamond cutter as his family has been involved in the trade for 5 generations. Please follow this link to shop at Brian Gavin Diamonds. Sharif, Owner of Petra Gems, has over a decade of experience in the wholesale diamond industry and has traded millions of dollars worth diamonds. If you want a dedicated diamond consultant to work with you, please follow this link to consult with Sharif. The diamond industry has evolved and changed significantly over the last two decades, mainly due to technological developments. While traditional brick mortar retailers are not happy about how the trade has evolved, the change is significantly in favor of ‘consumers” or end users. How? Because online competition and standardization of the diamond grading system have brought more transparency into the industry. In old days, as an end user, you were at the mercy of a local dealer for both price and quality. Now to compare prices, all you have to do is to review prices on three to four websites and you will get a fairly good idea of what a competitive price is for say a 1 carat round diamond that is F color and VS1 clarity and excellent cut with no fluorescence. 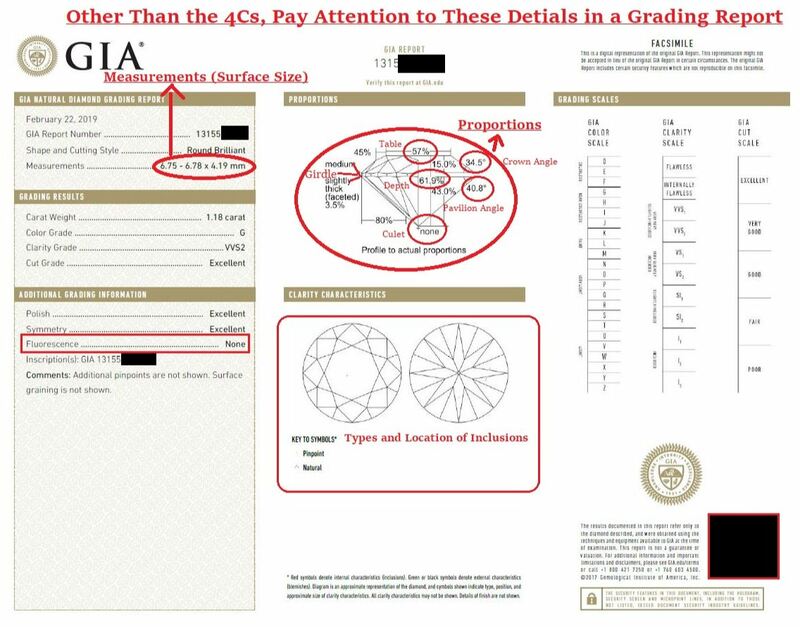 As far as grading is concerned, as long as your stone is grading or “certified” by GIA (the Gemological Institute of America), you do not have to worry if the stone is actually what you thought it would because GIA is the most consistent grading lab in the world. Moreover, in the old days, there was no standard for grading diamonds, now there is one language and grading system for how diamonds are graded. What factors should I take into consideration while shopping for a diamond? In summary, there are seven important factors that you should consider while buying a diamond, including diamond shape, carat weight, cut, clarity, color, certification, and fluorescence. These are the most important factors that affect the price of a diamond. Please see below summarized information about each of these seven factors. Shape is how the diamond looks, cut refers to the quality of the craftsmanship in which it was cut for a particular shape such as a round shape or an oval shape. The shape of a diamond affects the price because certain shapes needs bigger rough stones than others. For example, a round shape stone is 20-30% more expensive than a princess or cushion shape stone because it would takes (as a guess) a 2 carat rough to make a perfect 1 carat round brilliant cut shaped stone as opposed to a 1.5 carat rough to make a cushion modified brilliant cut diamond (a round 1ct. is 6.5mm in diameter, and a 1ct. princess is roughly 5.5mm in diameter). Because of this reason, round shaped diamonds tend to be higher in price than any other shape diamonds. Once you determine what shape diamond you want, the next step is determine how big you want the diamond to be; diamonds are weighed in carats, and each carat is 200 milligram or 0.2 gram. The price of a diamond tends to jump as soon as it reaches a full carat, and the bigger the stone, the higher its price by multiple times because larger stones are rare (more scarce). For example, all other factors being equal, a 2 carat diamond would cost you three to four times the price of a 1ct. and not just double the price of a 1ct because a 2ct is more scarce to mine than a 1ct. (scarcity plays a major role in how the prices of diamonds are determined). As a tip, if you want to save some money, buying say a 1.9ct. might be much cheaper than a full 2ct. because the price jumps significantly once the diamond reach a full carat range. The cut of a diamond is absolutely critical, and it is the only C the outcome of which is determined by human beings and the quality of their craftsmanship. There is so much details involved in assessing the cut of a diamond. GIA assigns a cut grade to round diamonds, but they do not have a standard yet for fancy cut stones such as an oval cut diamond, and therefore, do not assign cut grades to them. 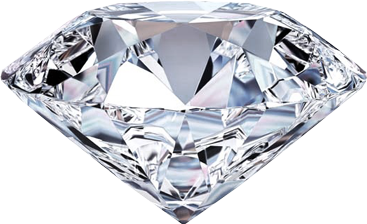 The good news is that we have published detailed articles about each shape diamond and how you should assess their cut. Please refer to these articles for assessing the cut of a stone you are considering. Three important points to be taken into consideration about the cut are 1) even in GIA excellent cut round diamonds, there is a way to differentiate between an excellent cut diamond and what we refer to as a “super ideal cut” diamond, and the only you can tell the difference is if you are able read their proportions and determine what ideal proportions are (read our proportions article); 2) in both round and fancy cut stones, the depth and table are the most important factors while determining the quality of a cut followed by the size of the girdle, culet, crown angle, and pavilion. Length to width ratios are also important in fancy cut stones; and 3) dealers tend to cut stones deep in order to save the rough stones, so avoid a stone that has high depth. In the manner, a diamond that has a big table is also not recommended because it won’t have optimal fire and brilliance. Color is the second most important C after cut as it affects the whole diamond, not a particular spot which is often the case with clarity. Color refers to the presence of yellowish color in a white diamond, and is graded from grade D (colorless) to grade Z (light yellow). D-F grades are considered colorless, G-J are near colorless (however, there is a big difference between G and J color), K to M grades are Faint Yellow, N to R are very light yellow, and S to Z grades are light yellow. Our recommendations would be to go for E-F for investment purposes, G is an excellent color for both investment purposes as well as for maximizing your budget, and H/I are good budget options with J being the lowest we would recommend unless you like some yellowish tint in your diamond in which case go for a very high clarity and K-N color grade diamond. The clarity of a diamond is important because it has a direct effect on the brilliance of the stone. If a stone is full of inclusions, the stone won’t sparkle and will luck luster, fire, and scintillation. The diamond industry has developed a very sophisticated system for grading the clarity of a diamond; it ranges from Flawless (FL) as the highest and Included 3 (I3) as the lowest clarity grade. FL and IF (Internally Flawless) are flawless grades. Very Very Slightly Included 1 (VVS1) and VVS2 are almost flawless clarity grades. Very Slightly Included 1 (VS1) and VS2 are after VVS2 and are also often considered as eye clean diamonds. Slightly Included (SI1) and SI2 are at the lower end of high quality diamonds and are often eye clean in under 1ct. diamonds. In above, 1 carat, the inclusions have to be white non-crystal type inclusions and spread out across the diamond in order for the diamond to be considered an eye clean in SI1 grade. Included 1 (I1) to I3 are the lowest clarity grade diamonds. In our opinion, VVS/VS1 are excellent investment grade diamonds, VS2 is excellent from both an investment and budget perspective, and SI1/SI2 needs great due diligence in above 1 carat diamond in order to ensure that the inclusions do not affect the diamond’s brilliance and the stone is eye clean. Fluorescence is an invisible glow that a diamond emits under Ultraviolet rays. It ranges from None to Very Strong blue with Faint, Medium Blue, and Strong Blue in the middle. According a study by GIA, the appearance of under 10% diamonds only was affected among all diamonds that had fluorescence. Fluorescence can affect the price of a diamond for up to 25%, and understanding it is important. For details, refer to our article on fluorescence. In summary, it is important to note that fluorescence can be a great alley for people on budget as it can make H or above color diamonds look whiter than they actually are since fluorescence is blue and blue is a complementary color to yellow. We believe fluorescence is often a plus in H and above color grades, but in lower grades D-G, we prefer no fluorescence; faint is also often a safe grade. If go with fluorescence in D-G colors, make sure you have a handy return policy in case the diamond is among those 10% percent stones in which fluorescence do affect the appearance of the diamond! Technically, it shouldn’t be called certification, but this how people refer to it. Within the industry, we refer to the “certificates” as grading reports. There are many labs that provide grading services on diamonds and natural gemstones, but the top among them is GIA (the Gemological Institute of America) – a non-profit organization dedicated to the education of diamonds and other gemstones. AGSL (American Gem Society Labs) are also dependable labs, but if you ask us, we would always recommend GIA – the most consistent lab in the world. GCAL is another lab that has pretty consistent grading so far (but has very small market share). In order to avoid getting ripped off, we strongly recommend to always buy a diamond that is graded by GIA. Yes, a dealer would give you a good deal on a stone that is graded by a bogus lab or not graded, but s/he would riff you off by selling you a stone that is H color as an F color stone, or one that is SI1 clarity, but is sold to you as a VS1 diamond. With certification covered, we have completed a summary of the seven important price factors. What is the most important C, and how do I pick the best stone? Which one do I compromise on? We recommend a balanced approach, meaning that you should get the best of all four Cs + fluorescence in a diamond within your budget. Size is important, but the quality of cut should always be a priority. Color and clarity are also important factors. So what we mean by a balanced approach is that instead of going for a 3 carat SI, I color diamond, it might make sense to go for a well cut 2ct. H VS1 diamond if budget is an issue. However, if you are treating your purchase of the diamond as an investment than we recommend that you go for a diamond that is very high in all four Cs, but is also easy to liquidate. For Example, excellent cut GIA graded round diamonds in the 1-2 carat range, E-G color, VVS/VS clarity, no fluorescence are highly in demand and also considered investment grade, so buying something like that is always a good idea. In larger diamonds, 4 and above carats, everything needs to be assessed case by case and there is no one size fit all approach that we would recommend since diamonds are the wonder of nature, and each one merit a separate assessment. Please email us for personal consultation or further questions. Read our detailed articles on shape and the 4Cs to learn more. Diamonds are minerals formed in high temperature and pressure conditions 100 miles beneath the earth and brought up near the surface by volcanic activity. It is also the only gem made of a single element – carbon. Each diamond is billions of years old, and of all diamonds mined, only 30% are considered gem quality as per the Gemological Institute of America (GIA).